Helping others on their journey is one of my favorite things. There are times it is important to gather some of these people together. When in a group, we discuss how their particular styles impact others to help the other people understand the differences among them. During a recent session we were discussing differences around a creative approach versus a more practical approach. We talked about how each person may see things, and how these differences may manifest. One person is more practical, the other is more creative. 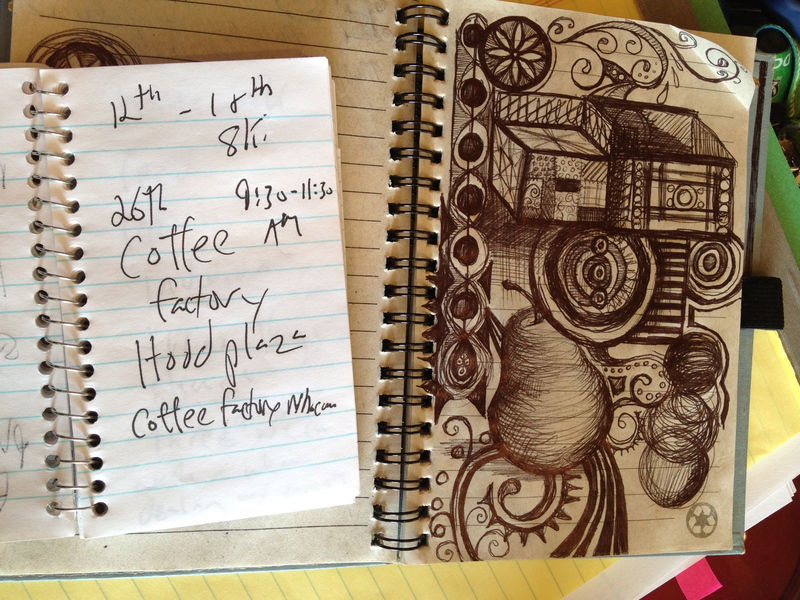 As we were taking, I glanced down at the participants notebooks. Their notebooks clearly provided the illustration I needed during our time together. They are different people, each bringing something valuable to the relationship. Understanding those differences helps each of them see the world from the other person’s viewpoint. It is this kind of understanding that helps move beyond conflict and deepens relationships. Our notebooks are different. We are different. We all have something we bring to the table, the relationship, or the workplace. Sometimes opening up your notebook is the first step towards understanding. Previous Post Opportunities or Obstacles? So glad you liked it. I love the “inlook” concept. Will have to let that sink in a little. What an outstanding visual this is of our differences. This will shift my outlook, starting today. It might even change my “inlook” a little. Thanks.